ITSquare industry experience and technology expertise helps in delivering world class business and technology services to our clients. Experience and deep technical knowledge enable the clients to exploit information technology to meet their business goals. High-end technology and unmatched consultants help the clients in achieving competitive edge and high performance. We provide end-to-end advanced IT consulting services . ITSquare strategic and vendor independent consultancy services are aimed at assisting our partners in engaging strategically with their target customers. Our consultants specialise in the following areas. 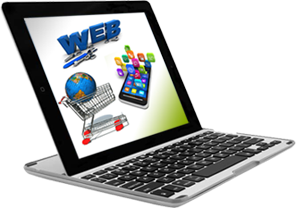 Our web development services can range from developing the simplest static single page of plain text to the most complex web-based Internet applications, electronic businesses or social network services. Smart phones are changing the way we seek and relay information; It opens a new era in Information technology. Clients who are seeking for developing their own business always consider the value of mobile applications. ITSquare online marketing plans and campaigns are the best way to promote your business online, get new customers ready to pay for your services. Also it is the easiest way to get clients within your local area. Whether starting a fresh new company or have your own marketing plan. We think that a dynamic and changing business environment requires a unique type of professional - one that doesnt presume to know the answers, as technology will be effective as the skills of the people installing, operating and using it. So developing skills is vital to maximize the benefit of technology investments. ITSquare training drives your organization and employees performance forward as our training depends on providing the needed practical experience, not just a theory on paper. So our courses include high amount of hands-on practical exercise in real/virtual labs, designed to really test new skills on safe environment and develop a real-world skills. ITSquare is a business services provider that offers a range of Information and Communication Technology (ICT) services in the EMEA region; our offices are located in Cairo and London. We provide IT consultancy services, E-business solutions , outsourcing and training services with their deep technology expertise and industry knowledge.